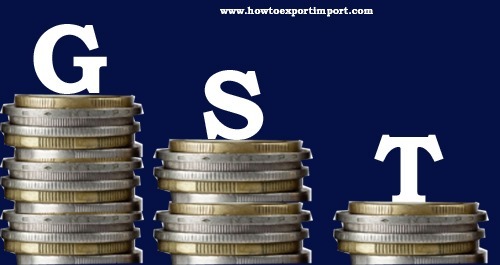 How to re-register for Goods and Service Tax? I am a taxable person who registered with GST, but cancelled. Can renewal or revocation of cancellation of GST registration possible? Tej Prakash: On 22 July 2017 I have registered as on 11.07.17 but i have not received GSTIN till now almost 12 days spend. status showing Pending for Processing. Maria: On 30 November 2017 After Note Ban this is becoming a another business to make Black money. Even if you supply all the documents officer will never approve for the GSTnumber. Same document give to Clear tax Agent and PAy them Rs3000 it wil be done without any document also its possible. Fully corrupt GST government and Officer Including PM also have share from this Rs3000. All this amount will be spent on Gujarat Elections. ARUN KUMAR: On 10 December 2017 I have applied for registration oF GST. As per regitering authority uplaoded residence proof is not properand it has to be uploaded fresh residence proof but as per given time i unable to do so.Due to this reason my applicatin has been rejected. Now i want to apply again but portal is not allow this. How can i apply again for GST ? plz hep me. palash das: On 12 July 2018 i applied... my gst but mi gst was canceled ...so what i do know? rupal: On 09 September 2018 i hv cancelled iy gst no. on 8th august,2018 application for cancelation is approved....now i want revoke my gst registration.can i do so?how? Muddessar Sayyed : On 19 November 2018 I have cancelled My GST Number . Now I want to take GST again on diffrent firm name . Is it possible to take it ? Ashok reddy: On 01 January 2019 My GST number has been cancelled due to non filing now I applied for revocation ,I'm running business ,I need to purchase stock urgently,so wat should I do? If I purchase on same number wat will be the problem??? Now I'm taking stock from others by giving profit to them ,pls guide me ,??? Either I can take stock from my PAN number??? After cancelling of GST we can run our business or not?? Sathya: On 23 January 2019 My GST number has been cancelled due to non filing ,I'm running business and e-way also cancelled wat should I do? Pls guide me ,After cancelling of GST we can run our business or not? ?